Many lawn mowers come equipped with a grass catcher as well as mulch capability and the ability to spread the grass clippings across the lawn. Personally I do not like grass catchers for lawnmowers for the simple reason that they are heavy, you have to dispose of the clippings in some manner and you have to stop to empty the bag often making the job of cutting the grass a longer job. I used grass catchers for lawnmowers for over 30 years and recently switched to a mulching lawn mower when the old machine finally quit. For me it was the best decision that I have made in a while when it comes to maintaining my lawn. Here are some of the reasons, which you can use for yourself to decide which approach to take. I used a mulching self propelled lawn mower for two years. I sometimes wonder why it took me so long to convert to a lawn mower without a grass catcher. It is easy to cut the lawn, I can do it quickly and there is not mess to clean up after. My garbage output is also much less as well which is a positive contribution to the environment. This is a pretty nice looking lawn mower, but do you really need these features, such as a grass catcher, self propelled, height adjusters etc? The lawn mower features for consumer applications have grown in the past few years. As both a writer and user of lawn mowers we were wondering just what we really needed. In case you are wondering the writer has used a lawn mower for over 35 years. He has used many different machines. Based on this experience we have an opinion regarding what is useful and those that are interesting to have. 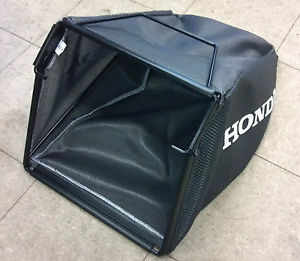 For example I would never again use a grass catcher. It is just more work. You have to dump the bag and then dispose of the grass either in a garbage bag or somehow figure out how to use the cut grass. For my money and time, I would prefer to just use a grass mulcher on my lawn mower. The grass needs to be cut a little more often to ensure the cuttings are nice and short and will disintegrate more quickly. Height adjustment is useful and needed, however the number of times you adjust the height of your lawn mower is maybe twice a year. Once in the fall to cut your lawn short for winter and in the spring to bring it back to the regular height. Even lawn mowers with individual wheel adjusters are ok, however you can pay more money if you want, for a control that adjusts all four wheels at the same time. The big feature that we like is self propelled lawn mowers, but there are some specifics that you need to consider. For example, the front wheels should be the powered wheels so that it is easy to change direction and speed simply by pressing down on the lawn mower handles. Also the speed should be adjustable on the fly so that you can adjust the speed to your walking style, grass conditions etc. If you really want to be able to pick up the grass clippings, purchase a lawn mower with both options so that you can convert from one mode to another. Most will also have a side discharge capability as well for situations where bagging the grass clippings and mulching are not the needed options. 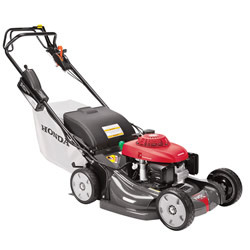 Lawn mowers have made great advances in the last few years with lots of options and changes that appeal to consumers. Some are quite useful, while some are conveniences and nice to have features. Most people have been using a lawn mower for some time. 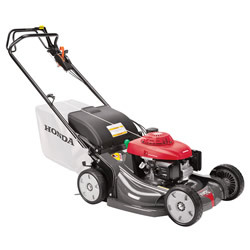 As a result you already have some idea of the popular lawn mower features that you prefer. If this is your first then you may be attracted to some of the features. But think twice about these items since they can add cost to your lawn mower. Having owned and operated a lawn mower for over 35 years, the writer has a good idea of the features that he prefers. There are two features that are at the top of the list for this writer. The first one is that the lawn mower must be self propelled. After years of pushing a lawn mower up and down small berms, using a self propelled unit is a dream. There are various self propelled units, some with fixed speed and others with variable speed controls. We suggest that the variable speed units are probably the preferred unit. You can adjust the speed of the mower to your own walking style or the conditions that you are dealing with. My own unit is a fixed speed unit. I adjust the speed by adjusting the pressure on the bar that controls the clutch. This is a belt and pulley arrangement so friction on the belt works quite well. The second option that we find really valuable is the ability to mulch grass cuttings. I no longer have to bag the grass cuttings or rake them and bag them. The grass cuttings go right back into the lawn as nutrients and there is very little work. The only issue that readers should be aware of, is that you really should cut the lawn a little more often to ensure that the mulcher on your lawn mower works well. Features such as electric starting, brake clutch to stop the blade spinning, steering mechanisms, etc are nice to have, but not really worth the money.